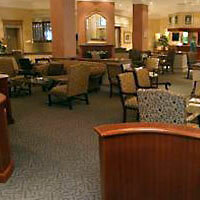 Protea Hotel Balalaika Sandton is the distinctively superior choice in Hotel accommodation. Established in 1949, the Protea Hotel Balalaika Sandton is a privately owned Premier hotel, set in the heart of Sandton, South Africa. Located in the heart of the Protea Hotel Balalaika Sandton and overlooking the beautiful gardens and swimming pool, lies The Colony restaurant. The restaurant is open five days a week for breakfast from 06h30 to 10h00 and weekends from 07h00 to 10h30, where a lavish full English breakfast buffet is served. The restaurant is closed for lunch and dinner. Prokard Gold is accepted. A wealth of good taste. The latest innovation in Sandton dining. Indulge your senses in our warm, spacious interior, embellished with fine wood and face brick, catering for the connoisseurs of choice meat and select wines. Visit our in-house butchery for fresh cuts of maturely aged meat, cut and packed for your specific requirements. A must for both local and international GUESTS alike. Enjoy fresh oysters, while sipping an exotic cocktail on the terrace. Open daily for Lunch and Dinner, Monday to Sunday. Closed on Saturday for lunch. Prokard Gold is accepted. The Oval Coffee Shop is located in the hotel lobby and offers a variety of light meals such as "Tramezzini" and "Ciabatta" with numerous selections of different fillings. Cakes, pastries and specialty coffees are also available. Open seven days a week from 09h00 to 21h00. In the winter months, enjoy our hot home-made soup of the day, served with French loaf. A sophisticated Lounge bar, decorated in luxurious solid wood furnishings, chandeliers, and rich plush upholstery. A vast variety of specialty cocktails are available. Hot savories are served daily at 17h00. 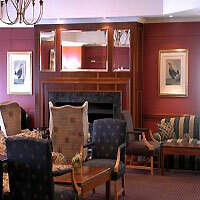 The Crown Court Lounge boasts its own private bar, which is open from 16h00 to 22h00 each evening. Situated in the vicinity of the lounge is a secluded change room, complete with shower and adjoining bathroom. Two sparkling swimming pools surrounded by beautiful landscaped gardens. The state-of-the art fitness centre, situated in the hotel, is furnished with all of the latest gym equipment. 8. Secure parking available in the Village Walk complex at an additional R25.00 per day. 1400 parking bays, with 24-hour security and direct access into the hotel. Conferences are held in a quality venue with seating for 20 to 1000 delegates, there are many conference rooms and in a variety of capacity. 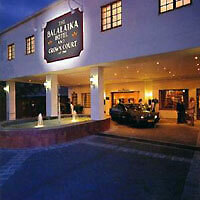 Hotel Balalaika conference centre is in the business hub of Johannesburg and with on site accommodation and restaurants, this is a popular and well deserving venue .